Drawings of dinosaurs and other prehistoric animals either done by team members or sent into Everything Dinosaur. Our thanks to Caroline for sending into Everything Dinosaur, a beautiful, hand-drawn dinosaur themed card. Caroline had wanted to purchase one of the limited edition, Rebor hatching Baryonyx figures, but she was unable to make the purchase when these figures first came into stock. We received her request to reserve a Rebor “Hurricane”, one of just 1,000 replicas made. Our team members were happy to set a Baryonyx aside and a few weeks later Caroline was able to make her purchase. As a thank you, we received this splendid illustration of a swimming Spinosaurus. The Onchopristis (an extinct sawfish), swimming closeby and better watch out! Spinosaurus is believed to have been a piscivore. Spinosaurus going for a swim. Caroline included a message with her card. She thanked us for holding onto the Rebor Hatching Baryonyx “Hurricane” figure and congratulated us on our customer service. Even the Rebor Hatching Baryonyx “Hurricane” Looks Impressed! The limited edition hatching Baryonyx figure “Hurricane” by Rebor. Even the Rebor figure looks awestruck at seeing the Spinosaurus illustration, after all, these two Theropods belong to the same family (Spinosauridae), although Baryonyx (B. walkeri) lived tens of millions of years earlier than Spinosaurus. Our thanks once again to Caroline for sending in her wonderful dinosaur themed thank you card. When amateur fossil collector William Walker found a huge fossilised claw in a Surrey clay pit, our understanding of Theropod dinosaurs began to change. The claw (which was discovered in January 1983), was only the start of the story. The following late spring and early summer saw a field team from the Natural History Museum in London working in the pit to extract nearly two thirds of the skeleton of an unknown and never seen before meat-eating dinosaur. The bones were entombed in hard siltstone nodules and clay. It took a further six years of preparation before all the bones representing a single, individual specimen had been cleaned and prepared for display. The dinosaur was named by palaeontologists Alan J. Charig and Angela C. Milner in 1986, when enough of the fossil material had been cleaned and prepared revealing a very different type of Theropod dinosaur. Baryonyx walkeri is a member of the Spinosauridae family. 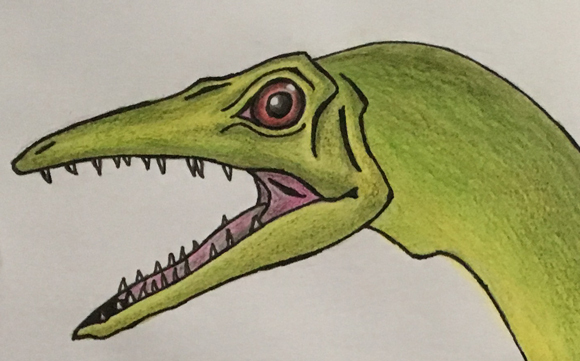 An illustration of the Theropod dinosaur Baryonyx. The Theropod was named Baryonyx walkeri and it has been classified as a member of the Spinosauridae family, although the exact taxonomic position of Baryonyx and related dinosaurs such as Suchomimus remains disputed. A revision in 2018, concluded that baryonychid dinosaurs were monophyletic (all descended from a common ancestor). Everything Dinosaur team members have been busy preparing for the arrival next year of the new CollectA 1:40 scale Baryonyx model, the illustration (above) has been commissioned so that we can update our Baryonyx fact sheet. In their original 1986 description, palaeontologists Alan Charig and Angela Milner erected the Subfamily Baryonychinae, however, where the Baryonychinae sits within the Spinosauridae remains open to debate. Formally named and described sixty years ago (1958), we feature in today’s blog posting the bizarre Lambeosaurine Tsintaosaurus (Tsintaosaurus spinorhinus). This dinosaur, often referred to as a “unicorn-like” dinosaur because of its bizarre crest, comes from the Wangshi Formation of Shandong Province (eastern China). A life reconstruction of the hadrosaurid Tsintaosaurus by the renowned Chinese palaeoartist Zhao Chuang. 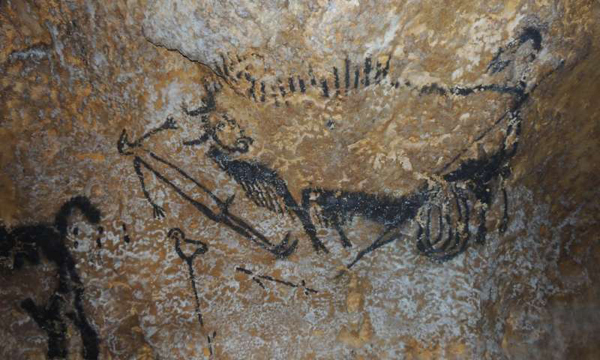 The picture above was painted by renowned Chinese palaeoartist Zhao Chuang. 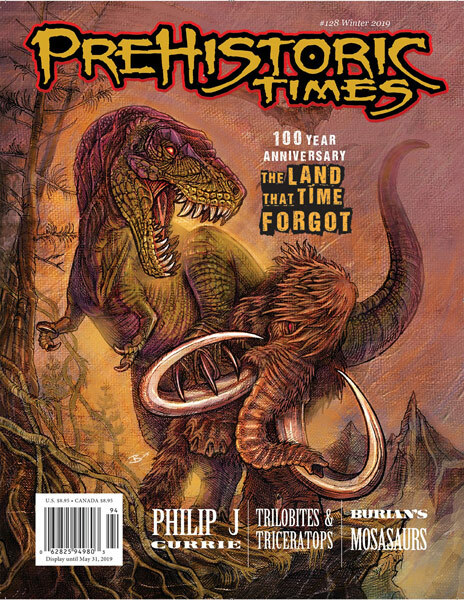 This great illustrator has produced numerous paintings of dinosaurs and other prehistoric animals, many of which have been used in scientific papers and reports. Why in this instance only the anterior portion of the dinosaur is shown, we cannot say, although this does give the viewer the opportunity to focus on that bizarre head crest. The presence of a upright horn-like crest on the snout of Tsintaosaurus has been disputed. Some palaeontologists noted that this sliver of bone that represented the horn could in fact be a piece of the nasal bone (naris), that had become displaced and deformed as a result of the fossilisation process. It was the eminent French palaeontologist Eric Buffetaut, whilst studying skull material who confirmed that this strange process was indeed a horn. Its function remains uncertain. It may have played a role in visual communication and it could have had a flap of skin running down its front edge, a viewpoint supported by Zhao Chuang’s excellent illustration. Models and figures of this Late Cretaceous herbivorous dinosaur are few and far between but CollectA did add a Tsintaosaurus replica to their not-to-scale “Prehistoric Life” model range in 2012. Sadly, this figure is believed to have been retired by CollectA and no more models of this Chinese duck-billed dinosaur will be produced. A fan of Everything Dinosaur very kindly sent into us a beautiful illustration of the small, Jurassic Theropod Compsognathus. Our thanks to Maurizio from Italy for producing such a fantastic piece of artwork and sharing it with us. A beautiful illustration of the Late Jurassic Theropod dinosaur Compsognathus. The fast-running Compsognathus was about the size of a small goose and for a time it was regarded as the smallest dinosaur known to science. The scientific name for this European dinosaur is Compsognathus longipes, the genus name comes from the Latin for “elegant jaw”, a reference to the delicate, slender jaws of this little predator, which probably fed on insects and small vertebrates. A close-up view of the head of the Compsognathus longipes that had been drawn by Everything Dinosaur fan Maurizio. Our thanks once again to Maurizio for taking the time and the trouble to send into Everything Dinosaur an example of his artwork.